It is easy to fall into the trap that all of those tasty and unhealthy foods set. Oftentimes, the worst foods for people seem to be the ones that taste the best. When you have those foods on hand, it can be quite easy to choose them over healthier alternatives. The best way to make sure you don't fall for the trickery of those tempting foods is to give them nowhere to reside. Remove those foods from your life, and you will not have the temptation to eat them. The first thing you will want to do is remove all of the junk food items that you have in your home. This is not the time to binge on all of the foods in order to remove them either. You can give the food away or throw it away. It doesn't matter. The important thing is that you remove them from your cupboards, pantries and refrigerators. When you don't have them in the house, you can't eat them. 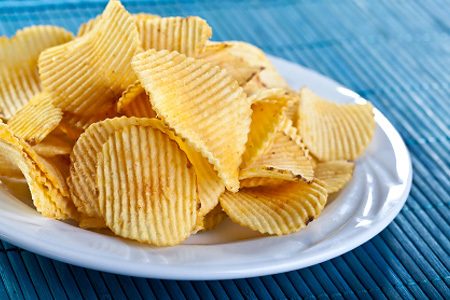 It's much easier for a person to reach for a bag of potato chips when they are a few feet away in the kitchen than it is for someone to get up, drive to the store and purchase them. You will want to replace all of that missing food in your house, but you have to make sure that you are buying healthy. Vegetables, fruits and lean meats are going to be the most important things to buy. Stock up on them. However, you will still want to have some types of snack food around. The key is making sure that the snack foods are also healthy. Dried fruit that doesn't have any additional sugar in it is one option. You can also choose some healthy nuts, such as almonds to have around the house. Make sure that you also have some fresh fruit handy. Do not buy the fruit in a can because it is often in heavy syrup, which is loaded with sugar. The home is not the only place where people snack on unhealthy foods. Quite a few people have a stash of snacks at work or even in the car. You need to make sure that you replace these little stashes with a healthier alternative. Again, nuts are a good option. A healthy soup for lunch should be enough to fill you through the day, as long as you had a good and filling breakfast. You will find that once you are able to remove these tempting foods from your home and work, they aren't going to have power over you. If you have a spouse or children, who feel they need to have that unhealthy food around, it can make this process more difficult. However, with some little changes to their diet and by offering healthy snacks in place of the junk, you should be able to get everyone in the family on board for the change.